on John Evans’ head certainly gets attention! John offers various forms of advertising and sponsorship. 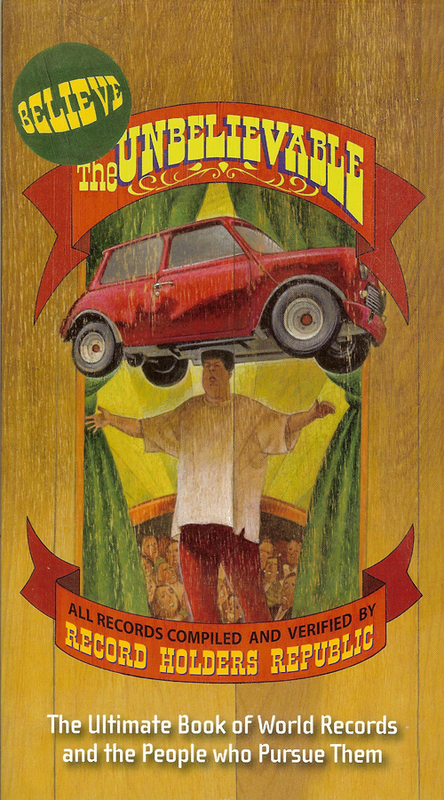 Your business can be promoted on the Mini – the most famous part of his show and unique to John – for a whole year. It can be a great way to advertise - John's international recognition makes his act a good place to gain global exposure for your business. Or perhaps you’d like to book John for a corporate event, providing an unforgettable experience for clients? 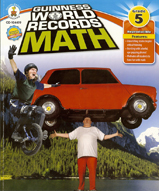 Please check out the front covers of the latest Record Holders Republic and Guinness World Records Math publications. John was chosen to out of the thousands of amazing record holders. "Headbalance the Tallest Column of £2.00 Coins"
Each layer will have 50 coins, and John hopes to get to over 300 layers making this the latest record in 2012 for Record Holders Republic. 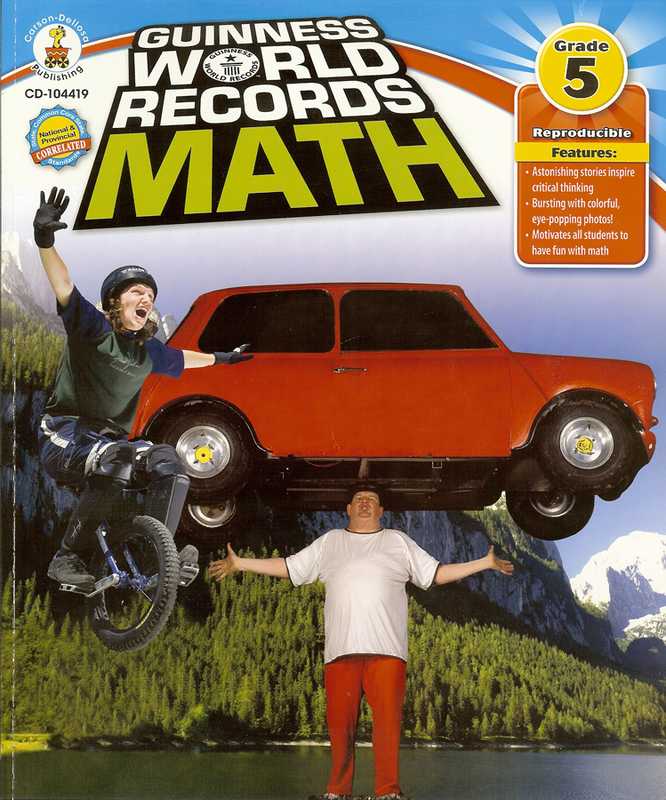 This New World Record Challenge requires sponsorship. 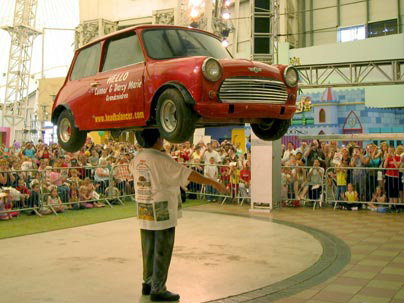 We could envisage this world record challenge would be ideal for a finical based business etc. John is looking for a slogan for the event advertising, so feel free to email him at:strongman@btconnect.com with suggestions, the best slogan will win a bunch of John Evans merchandise. "New World Record Attempt for balancing pints of beer"
John is planning to set a new world record by balancing 100 pints of beer on his head while stepping over 5 people lying on the ground. He is keen to find a sponsor for this event, suggesting it would interest a brewery, pub or even a "don't drink and drive" campaign with the slogan "don't let drink drive go to your head". If you are interested in sponsoring John for this event, please email him at:strongman@btconnect.com .